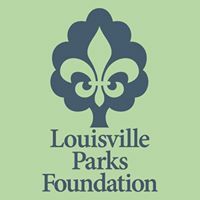 A fundraiser for Breslin Park, hosted by the Louisville Parks Foundation and Home Skateshop, will take place at Headliners Music Hall on Thursday, July 26 at 7 p.m. Proceeds from the event will go towards improvements to the park, including a new skateboarding element and shade structure. The all-ages show will feature Miracle Drug, The Hot Wires, Adventure, Comforter and Legs Akimbo with DJ’s Sam Sneed and Matt Anthony and Sean Cannon as emcee. Custom artwork, tee shirts and stickers designed by local pop artist, Matthew McDole, will be available for purchase. Tickets are $10 and can be purchased in advance at headlinerslouisville.com, Headliners Box Office, Home Skateshop, Guest Room Records, or at the door the night of the show. All tickets bought in person, will come with a free Matthew McDole Breslin sticker. Anyone interested in donating to the Breslin skate spot should visit lpfky.org.